The final beta of Ubuntu 18.04 Bionic Beaver LTS (Long Term Support) was released a few hours ago. 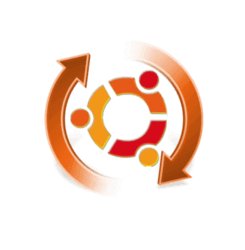 Ubuntu 18.04 Beta 2 features iso images for Ubuntu Desktop, Server, and Cloud products. Also Kubuntu, Lubuntu, Ubuntu Budgie, Ubuntu Kylin, Ubuntu MATE, Ubuntu Studio, and Xubuntu images are available. The beta includes updated versions of most of core set of packages, including a current 4.15 kernel, and much more. And the final release of Ubuntu 18.04 will be available on April 26. Replace Dragonplayer with VLC as default media player. Muon package manager is shipped by default once again. Replace Amarok with Cantata Qt5 as default music player. Drop Telepathy instant messaging client from the defaults. Replaced the Sound Indicator with the Xfce PulseAudio Plugin. Replace some desktop applications: Evince -> Atril, File Roller -> Engrampa, GNOME Calculator -> MATE Calculator. Uses Indicators by default in all layouts. Brisk Menu switches to a dash-style launcher for Mutiny or Cupertino layout. Minimal installation support and more and more other changes. Weather Applet now is working again. The beta images for other flavors: Ubuntu Kylin 18.04, LUbuntu 18.04.